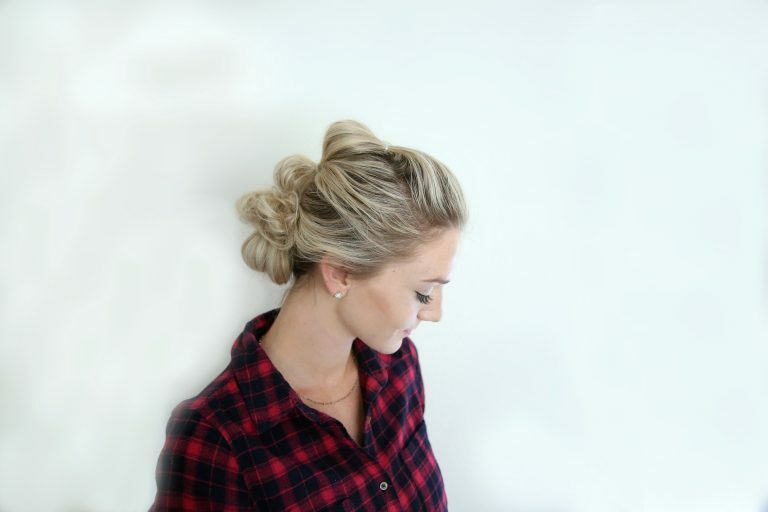 1- Flower Braid Bun: If you’re looking for something cute that’s quick and easy to do, then this hairstyle is perfect for you! 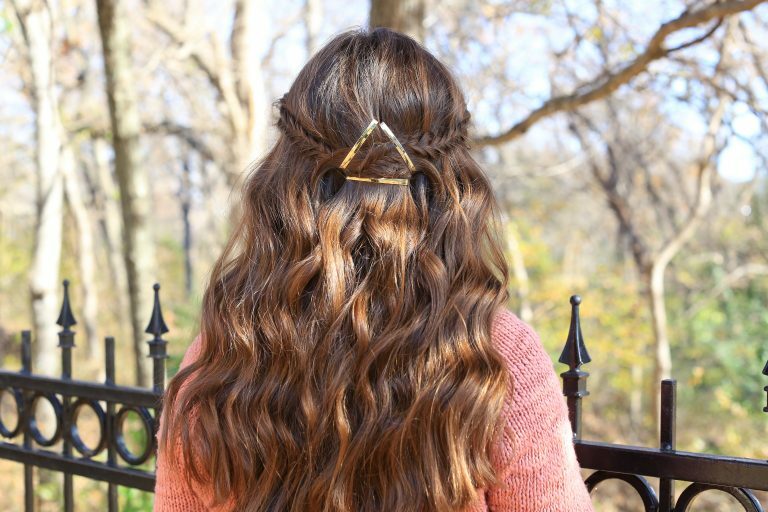 Although this hairstyle looks complicated, it’s a breeze, and you might even have time to spare to grab some orange juice and a bagel. From parent-teacher conferences to presentations at the office, you’ll be ready to take on the day! 2- Barrette Tieback: I love a good tieback! I love LOVE this Barrette Tieback! 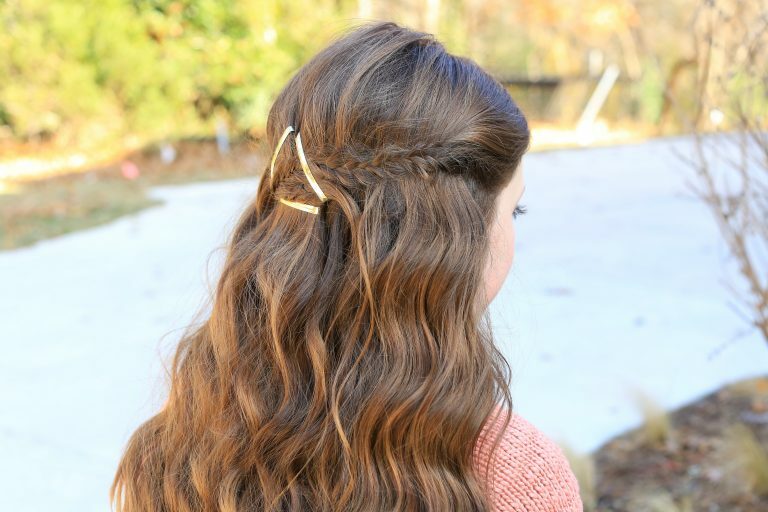 Who says barrettes are just for kids? This hairstyle is super trendy and looks great on all ages. Style this with your favorite sweater and some dark denim and no one will know it took you only 5 minutes to get ready! 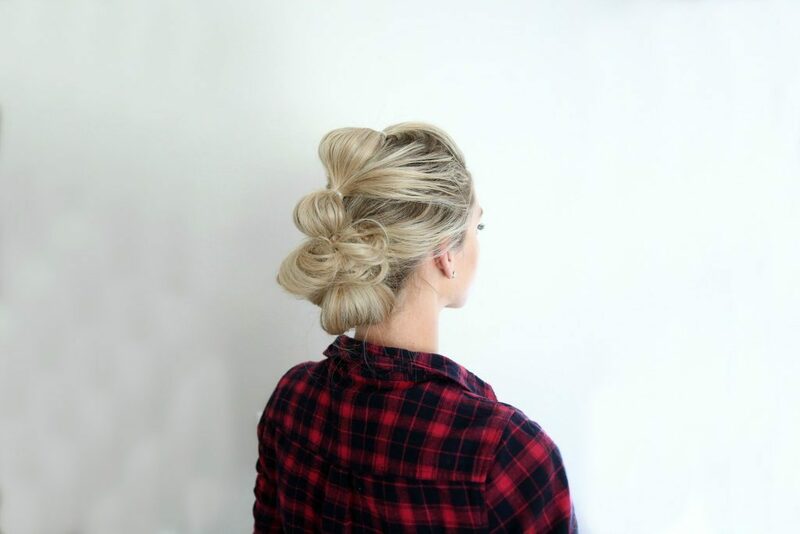 3- Bubble Updo: Didn’t have time to wash your hair? No worries! This hairstyle is great for those days when it seems like there’s not enough time in the world. Just grab some elastics and dry shampoo, and you’ll be out the door in no time.